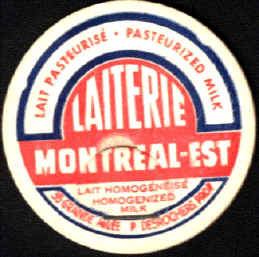 The founder of this Dairy is Mr. Philias Desrochers. Today, a restaurant takes place in a part of the old dairy and the other part is used as a tool location business. The dairy started to do business in 1929 and closed in 1970. The dairy has not been sold, it simply closed. It was employing ten workers for the preparation of milk and ice cream. Source: Mr. Yvon St-Hilaire, nephew of the Founder. He was met by Monique and Paul Conner, collectors.